Harry Potter is definitely the chosen one, but it is not just thanks to Lord Voldemort. McFarlane Toys has picked up the magical series for a figure line, and the company has some big plans for the series. 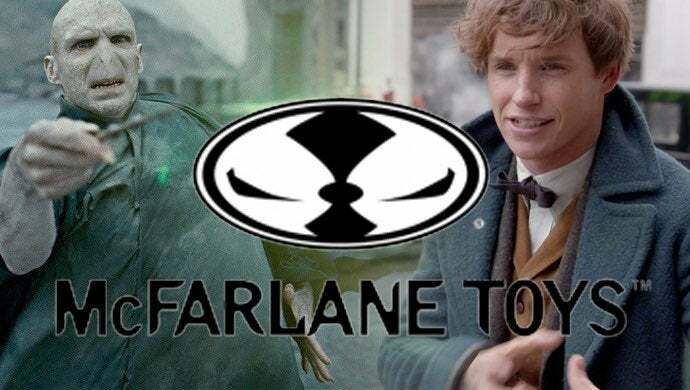 Today, McFarlane Toys has confirmed it teamed up with Warner Bros. Consumer Products to make a line of high-end collectibles for the Wizarding World. At this point, a handful of figures have been confirmed, and details on the line have gone live. The collection will have figures ranging between 6-12 inches covering both the Harry Potter and Fantastic Beast films. The first wave will include characters like Harry Potter, Hermione Granger, Ron Weasley, and Voldemort. Everyone’s favorite Hippogriff, Buckbeak, will get a figure as well. Right now, price points for these figures will cap at $25, and company head Todd McFarlane admits he’s excited to explore the Wizard World for himself. Speaking with ComicBook.com, McFarlane went on explain how the company will go about selecting the line’s various figures. “You don't want the young Harry, and the older Ron, and stuff. It's on the shelf. So we're gonna try, and as much as possible give some continuity, at least for a couple of the figures. We may do a line where we do two or six figures, and maybe three from one movie, and three from another. And then we'll clearly mark those, so that people will know,” he explained. If you are looking forward to these figures, you will be able to get eyes on them soon. McFarlane Toys will debut prototypes of this collection's first wave at the 2019 Toy Fair in New York between February 16-19. So, are you excited for this team up? Let me know in the comments or hit me up on Twitter @MeganPetersCB to talk all things comics and anime!